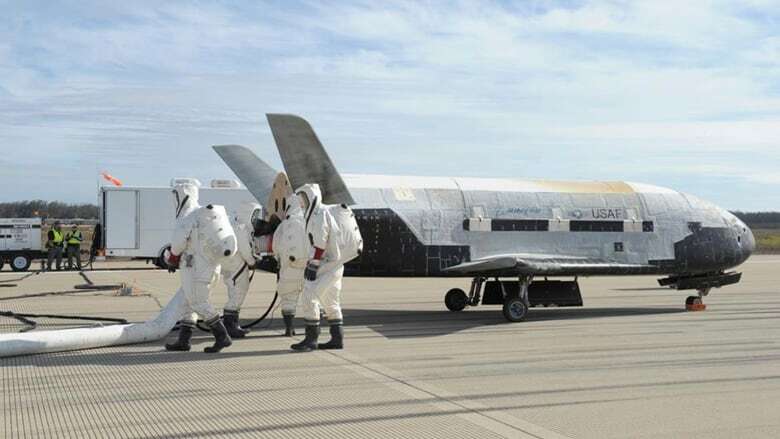 A top-secret space plane landed safely at a U.S. Air Force base on the Southern California coast after spending two years circling the Earth. A top-secret space plane landed safely at an Air Force base on the Southern California coast. The plane spent nearly two years circling Earth on a classified mission. 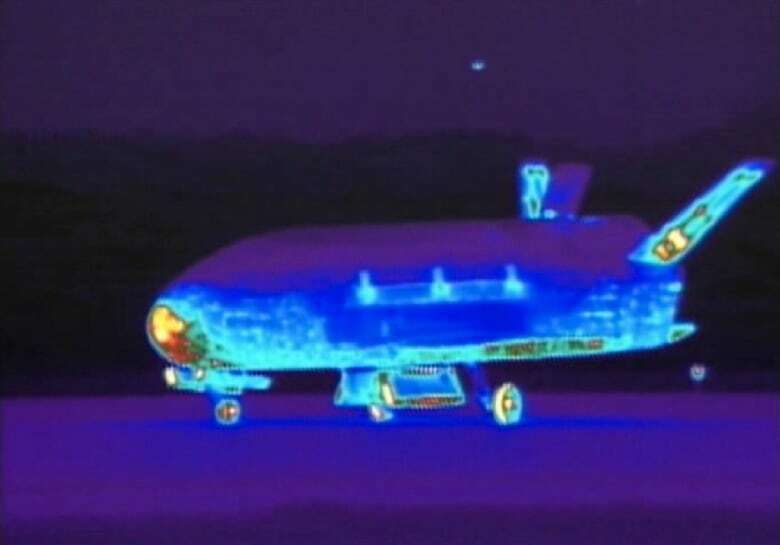 Known as the X-37B, it resembles a mini space shuttle. It touched down at 9:24 a.m. local time Friday, officials at Vandenberg Air Force Base said. Just what the plane was doing during its 674 days in orbit has been the subject of sometimes spectacular speculation. Several experts have theorized it carried a payload of spy gear in its cargo bay. Other theories sound straight out of a James Bond film, including that the spacecraft would be able to capture the satellites of other nations or shadow China's space lab. In a written release announcing the return of the craft, the Air Force only said it had been conducting "on-orbit experiments." The plane stands 2.9 metres tall and almost nine-metres long, with a wingspan under 4.5 metres. It weighs 4,989 kilograms and has solar panels that unfurl to charge its batteries once in orbit.